The destination is really about the journey. Explore any avenue with this v-neck tee showcasing a road weary icon. 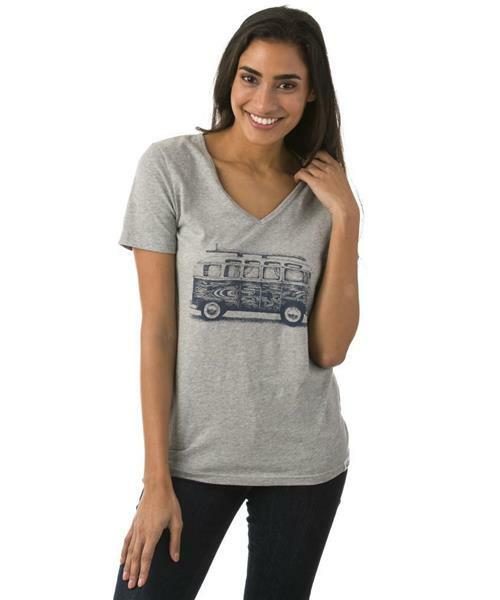 The cool graphic tops off a pleasant, 100% organic cotton material. Soft against the skin and easy on the earth. Ten trees are planted in honor of every product sold.